Conceptual objections to the Bohr atomic theory — do electrons have a “free will” ? The atomic model introduced by Bohr in 1913 dominated the development of the old quantum theory. Its main features, such as the radiationless stationary states and the discontinuous quantum jumps between the states, were hard to swallow for contemporary physicists. While acknowledging the empirical power of the theory, many scientists criticized its foundation or looked for ways to reconcile it with classical physics. Among the chief critics were A. Crehore, J.J. Thomson, E. Gehrcke and J. Stark. 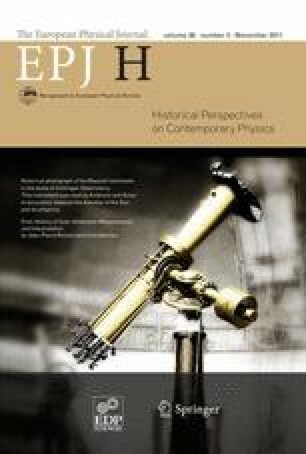 This paper examines from a historical perspective the conceptual objections to Bohr’s atom, in particular the stationary states (where electrodynamics was annulled by fiat) and the mysterious, apparently teleological quantum jumps. Although few of the critics played a constructive role in the development of the old quantum theory, a history neglecting their presence would be incomplete and distorted.